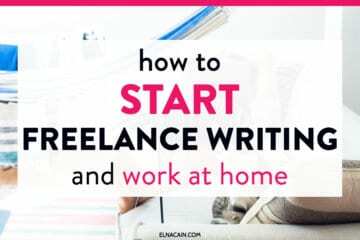 Are you new to freelance writing? Want to start but not sure if you need a writer freelance website? One of the first things I did when I wanted to become a freelance writer was start a blog for my business. This one thing helped me land gig after gig, project after project and freelance writing job after job. Even today, after three years as a freelance writer, I get weekly inquiries from my contact page of prospects wanting to hire me for my digital marketing writing. Having freelance websites is the way to make a living as a writer. It’s true, and I know many of you are unable to do that right this moment. That’s okay. You can get started quickly without a website (but, as I mentioned, it’s almost impossible to make a living without a website). To help you out, I created a non-techy step-by-step tutorial on how to start a business blog for your freelance writing business. I even included a video! Super simple! Go check it out! For right now though, check out these 18 writing websites that attract clients every day! Use them for inspiration, learn from their copy and create your blog from these examples. Alicia Rades has a very optimized writing website for her service-based business. When landing on her site you know that she’s a paid blog writer. If you’re a business looking for a blog writer, Alicia is your gal. What’s awesome about this homepage is her call-to-action button. It’s above the fold (right before you start scrolling). This means that when you go to her site, you see that button. While Alicia has moved on to being a paranormal author, I still love her writer website! Ashley Gainer has a great introduction to her service. It immediately tells you that she’s experienced in freelance writing and that entrepreneurs seek her out for her strong copy skills. She also is marketing to other freelance writers and tells them how. Her writing website is easy to read and navigate, making the decision to hire her easier. Samar Owais‘ writing website is right to the point. It takes less than 3 seconds to learn what she does: create content that sells. And for clients with an online business, this is exactly what they seek in a writer! Colin Newcomer has a lead generating site. We are immediately introduced with his welcoming smile when you land on his freelance website. Next to him, he has a blurb asking specific questions to help prospects identify what they want. What I like is the social proof right underneath of where he has been featured. Deevra Norling shows you what type of writing she does as well as her niche (travel). I like how she featured one testimonial to help prospects trust Deevra as a great writer. Another thing I liked about her writing website is her blurbs about her writing services. This can help prospects figure out if Deevra is their writer! I like Lauren’s writing website, Little Zotz! I definitely went to her site as a new freelance writer! But, she’s also using this site to attract writing jobs. She markets herself as a writer that can write in your brand’s voice and has a great call-to-action button. It hits a pain point for many entrepreneurs and shows them that he can help. Gary’s writing website, Shine Copy, uses his home page as his About and services page. I immediately know he’s a B2B writer and I know he’s credible from his testimonials and certifications. I like Cecily’s website because she welcomes us with her face. I feel the best freelance websites are personable and using your headshot can get that across easier. While her site shows her more as an author, her Hire Me page shows that she’s a freelance writer for hire. Tiffany Jansen’s site is sufficient and tells a prospect what she does. I really like her homepage as it sort of reads like a pitch you would send to a prospect. She tells you her niche topics, her experience, and links to what her clients say as well as her samples. Flash Fit Trainer is Jessica Collin’s blog. I decided to include a blog because I know a lot of bloggers want to do freelance writing. And you know what? 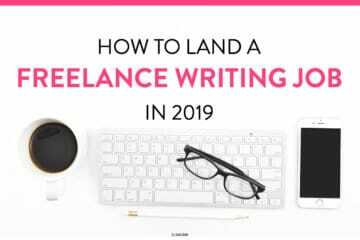 You can use your blog to attract freelance writing jobs! I love Jordan’s freelance writing website, The Product Writer. Jordan is an eCommerce copywriter and her site shows you just that! From her title to her copy to her About blurb on her sidebar, Jordan uses her copy to show her experience in this niche. Yolie Denise has a unique writing website. Her niche isn’t blog writing but creating digital products for small business. She’s your gal for eBooks. Christine Renee is a freelance money and business blogger. I love that she has a picture of herself welcoming us and has her call-to-action identified easily. 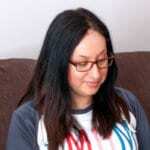 Sally Aquire’s freelance website tells you her writing niche as well as the types of clients she works with. Way to go! She also makes sure to show prospects what her content can help with their business (build their brand, improve SEO etc..). I love Bree Brouwer’s writing website. The eyes lead to the arrow and make you want to scroll down to see what she’s all about. She introduces herself as a professional B2B copywriter letting prospects know her experience in her niche (love her portfolio page!). Jennifer Locke’s website is simple yet effective. Her copy sells her service and her headshot is very inviting. I like that the font size is large (makes it a cinch to read) and her menu isn’t flooded with choices. Innovative Ink is my writing website. I’m sort of in love with it. My service-based website has had a lot of facelifts, but this one is sticking so far. I love the copy, the design and the voice on this website. As soon as I honed my niche and spoke to my ideal client, I ramped up my freelance writing business and income. That’s the power of a writer website. If you don’t yet have a blog for your business, I highly suggest you start one today! I have a super simple tutorial with a video to boot to help you get started quickly! 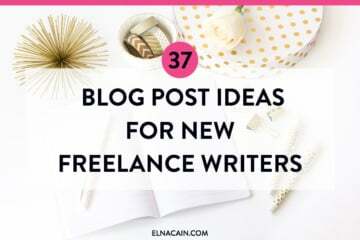 I hope these freelance websites inspired you to become a freelance writer! Yay!!! Need a Website For Your Freelance Writing But Stuck With the Tech Part? I love all these writer websites and thanks for sharing! I am just steps away from launching my site and I am going with a brand name for the domain. I’m curious if I should combine my personal social media accounts using the brand name, my own name, or have separate accounts. What do you think? That’s awesome you are launching your freelance writing website! For combining your social media accounts I would stick to your name for your business! I just loved the way you described it all and your writing style is amazing. Feels like I know you already. I have a website but I am not able to get traffic and money out of it. Freelance writing sounds so good. Can you help me with it? I am totally new to blogosphere. That’s great and thanks so much! My free course can help you get a plan to start freelance writing! Make sure to sign up! I’m excited to finally have my website up and running! It’s far from perfect but I just wanted to get something up. Sometimes I spend so long perfecting things simply because I’m afraid of the next steps, which in this case would be the actual writing and pitching! I end up missing opportunities because of fear and I didn’t want that to happen now. PS: Hope my new gravatar works! You have a beautiful site! Good luck on the writing and pitching part 🙂 I know you’ll do great! Really great examples here, Elna! Thanks for the helpful post. Have been wanting to set up my own website but haven’t had the courage to take that leap as yet. Your course sounds just what I need! Thank you so much! Yay!!! Creating your own writer website is the first step to doing this and making a living out of this! Thanks for coming over! As a freelance writer you can promote yourself as a writer and copyeditor! I don’t know any writers that do that off by hand though! Really interesting and helpful article, Elna. I’ve read quite a few of your posts of late and always find your blogs useful and informative. I would absolutely love to get your opinion on my website if you have time? Any feedback you have would be most welcome! Send your URl over to me and I’ll take a quick looky-look! 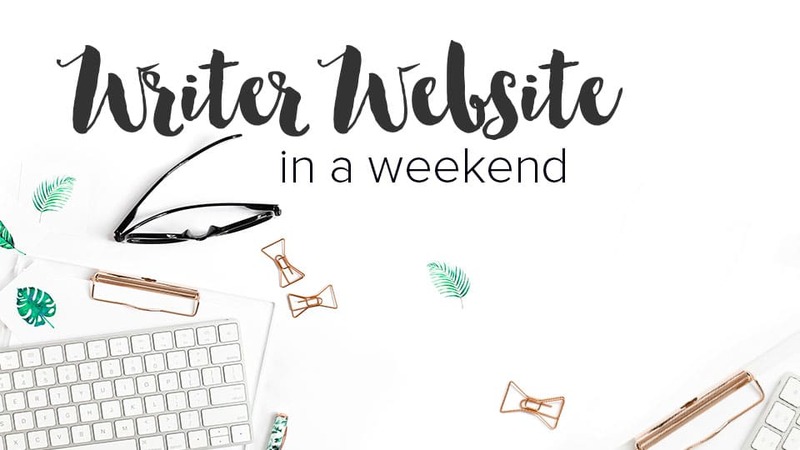 Great list of writer websites, looks amazing. I completely agree with you, it’s necessary to have a blog/website to showcase your portfolio and attract clients. Not to mention, your blog looks stunning as well! Thanks for stopping by. Yes, a professional website is necessary nowadays! Thanks so much for including me, Elna! This is a great post as usual, Elna. I do have a question, though, after reading the article. I was wondering if I should call myself a freelance writer or a blog content writer. What do you think – what are your thoughts? It’s up to you what you name yourself. I like freelance writer for hire. Businesses know the term freelance writer. Currently, I call myself a professional B2B digital marketer writer. So you can change it and see what response you get. Ill the whole use these to benefit me come happening behind my brand for my website! That’s great! Enjoy customizing your website! I know what you mean. It took me a couple revisions to my site to get it just right. I like your website copy however and if it’s working for you, might as well keep it eh? I’ll certainly use these to help me come up with my brand for my website! That’s awesome! I LOVE looking at other people’s service-based sites! This had reminded me that I need to update my freelancer website. You’re welcome! Thanks for coming over!